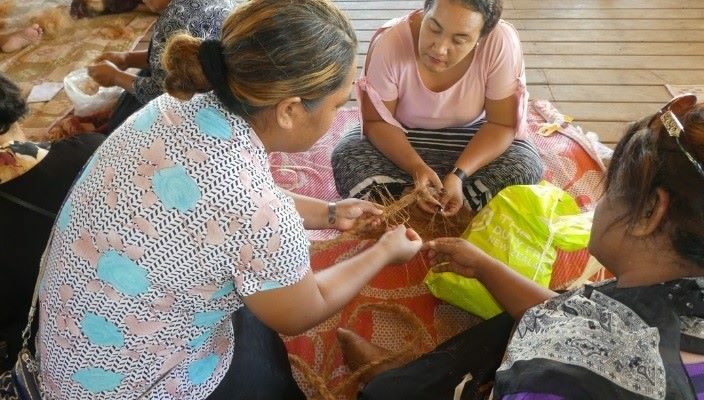 Tonga Skills facilitated the delivery of sewing training for 20 women in Vava’u including one with a disability. Ms Soana Masunu is both speech and hearing impaired, however, it never stops her from participating fully in activities that will improve her skills and economic growth potential. Many of the women who attended the sewing trainings were aiming to capitalise on the clothing demand created by the “May Celebrations” in Tonga. With a range of cultural events throughout the month, demand for high quality clothing is high and Tonga Skills is supporting communities in Vava’u ensure that they can produce these items locally. Complementary training was also conducted in garment value-adding, with a focus on production of the traditional ‘Kafa’, to enable the women to increase garment quality and sale prices.